Dave Grohl&apos;s mother Virginia Hanlon Grohl penned a new book that examines what it&apos;s like to raise a rock star from a parent&apos;s perspective. 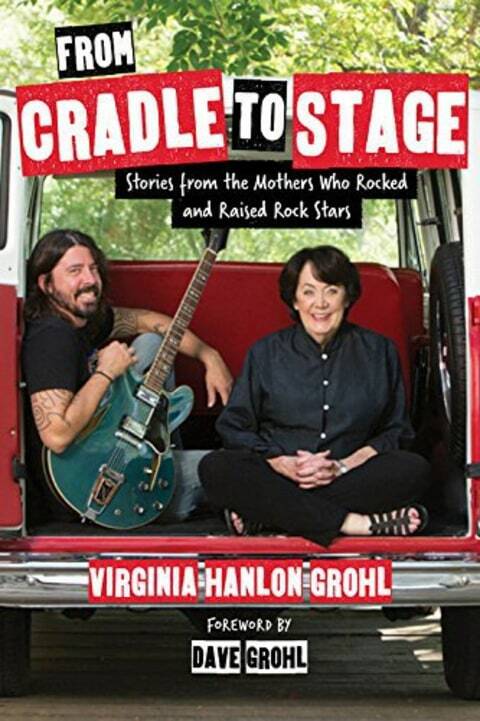 From Cradle to Stage: Stories from the Mothers Who Rocked and Raised Rock Stars, due out in April 2017 via Seal Press, features Virginia Grohl&apos;s own experiences raising the future Nirvana drummer and Foo Fighters frontman, who also contributed the foreword to his mother&apos;s book. Over the past two years, Virginia Grohl also spoke to a batch of rock star-rearing moms – Verna Griffin (Dr. Dre&apos;s mother), Marianne Stipe (Michael Stipe), Janis Winehouse (Amy Winehouse), Patsy Noah (Adam Levine), Donna Haim (Haim sisters) and Hester Diamond (Beastie Boys&apos; Mike D), among others, who shared their own stories. "As Virginia watched her son&apos;s star rise, she often wondered about the other mothers who raised sons and daughters who became rock stars," the book&apos;s description reads. "Were they as surprised as she was about their children&apos;s fame? Did they worry about their children&apos;s livelihood and wellbeing in an industry fraught with drugs and other dangers? Did they encourage their children&apos;s passions despite the odds against success, or attempt to dissuade them from their grandiose dreams? Do they remind their kids to pack a warm coat when they go on tour?" From Cradle to Stage: Stories from the Mothers Who Rocked and Raised Rock Stars also boasts exclusive family photographs from Dave Grohl&apos;s childhood.